No holiday in the Indian Ocean is complete without exploring the world beneath the crystal clear water surrounding Zanzibar. Whether you choose to perfect your skills, increase your confidence or simply have fun The Sands offers the opportunity to follow many courses with our 5 star Diving School and the sole Surfing School in Zanzibar. But don’t worry, you can just relax in our pools or discover the outstanding variety of coral and sea life snorkeling around the reef, if you wish so. Aquaholics Surf School Zanzibar is the first and only surf school on the island and caters to all level of surfers. They have a range of more than 15 surf boards of many shapes and sizes. We offer surf trips and surf lessons, surf guiding & coaching on our tours to Zanzibars greatest waves. Openwater, Advance, Rescue and Divemaster are the Buccaneer Diving Center’s most popular courses. The PADI 5 Star school includes a huge range of unique marine life specialty courses: seahorse, turtle, moray eel, nudibranch & shark aware diver and also Instructor Development Courses (IDC) twice a year. 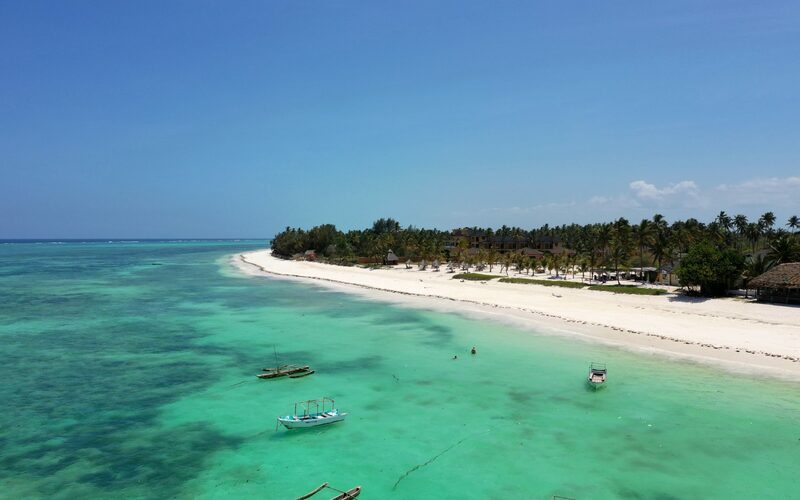 Just a stone throw away from The Sands Beach Resort, you can snorkel at one of the best snorkeling spots in Zanzibar. This snorkeling trip in Blue Lagoon is tide dependent, low tide is usually better for sight and with calm water which makes it better underwater visibility of corals and fish as well as for swimming itself.